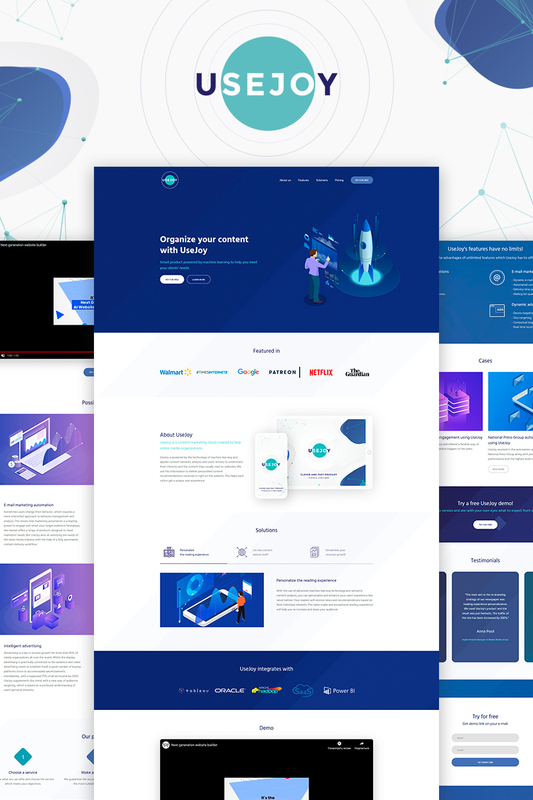 Weblium SaaS product (AI/ML) website template is a perfect solution for a business of any scale and a great opportunity to create a decent website for free since all ready-made Weblium templates are created on the basis of UX analysis of a specific field of activity. For a SaaS product website, our experts defined 5 pages and 30 blocks that you may need! Using Weblium site building technology is a great option to Ñreate a website within an hour: add or remove any elements in one click without coding. Each Weblium template is based on an in-depth analysis of a business niche. Thus, websites are filled with the most important pages, blocks, and elements that are able to meet the requirements of each user. Although the sites are created on the basis of pre-designed templates, Weblium Studio can completely upgrade any of them and make the website absolutely unique! You will get a modern, professional website and will be able to manage it in a super-convenient editor. Sign up now - and create a website for free! Use the rich functionality of Weblium Editor to its fullest. Our AI Design Supervisor will control all the changes you make and offer additional proposals to ensure that your future website will look great. Save your time, using Smart UI Kit, that lets you modify design schemes (including the existing color palettes and fonts) in just a click. Your website will load fast (scoring 90-100 in Google PageSpeed Insights) and respond to all devices by default. Weblium 5-th generation website builder is working for your success!